Heart Shaped Slivery Stainless Steel Coffee Tea Spoon. This Slivery Spoon combine useful value and lovable modelling into a single unit. Made from stainless steel material with polished finish, durable and comfortable for your daily use. 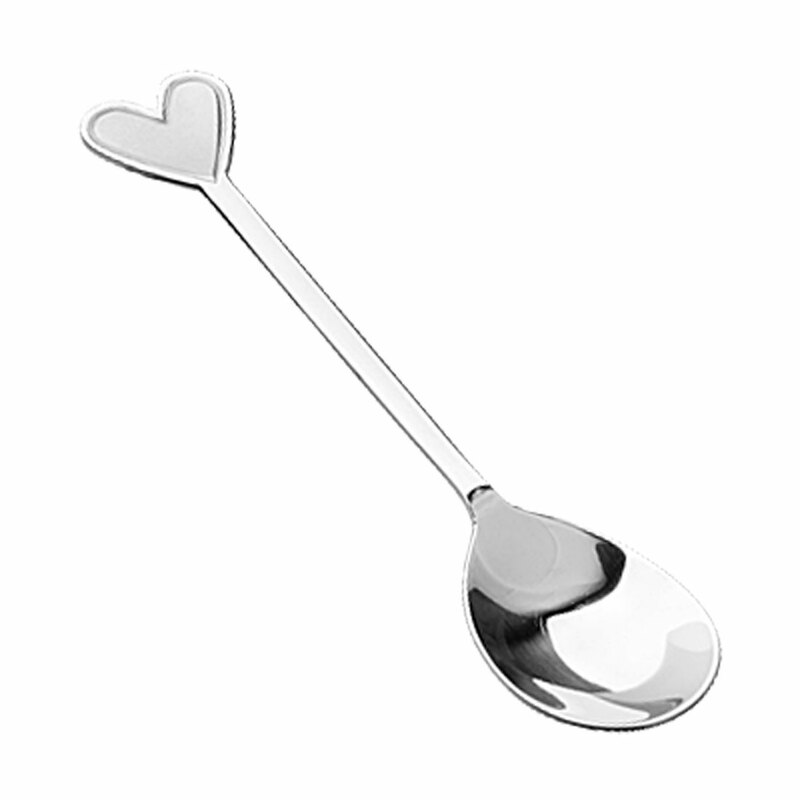 Featuring heart shaped handle top, Stainless Steel Spoon is quite charming and cute. It can be used as a condiment spoon too. Heart Shaped Spoon is a good co-worker when you drink tea and coffee. Also can be as a geart boby raising spoon. This Coffee Tea Spoon is a must tableware for household lives. Total length: Approx. 5 3/4"
1 x Stainless Steel Spoon.